I received a fat quarter bundle from Windham Fabrics last week and The Theory of Aviation spoke to me! The colors are so traditional and the images are so vintage! What do you think? 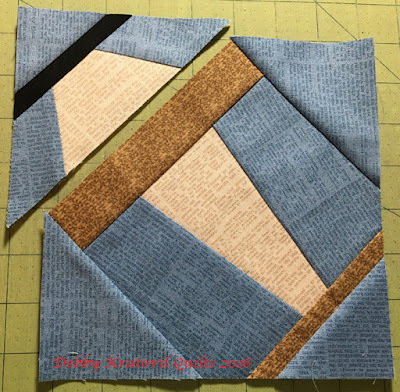 I have two patterns for paper piecing vintage airplanes. Have had these for years. I upsized them from 4" to 7" and printed them out. One is called Into the Clouds. 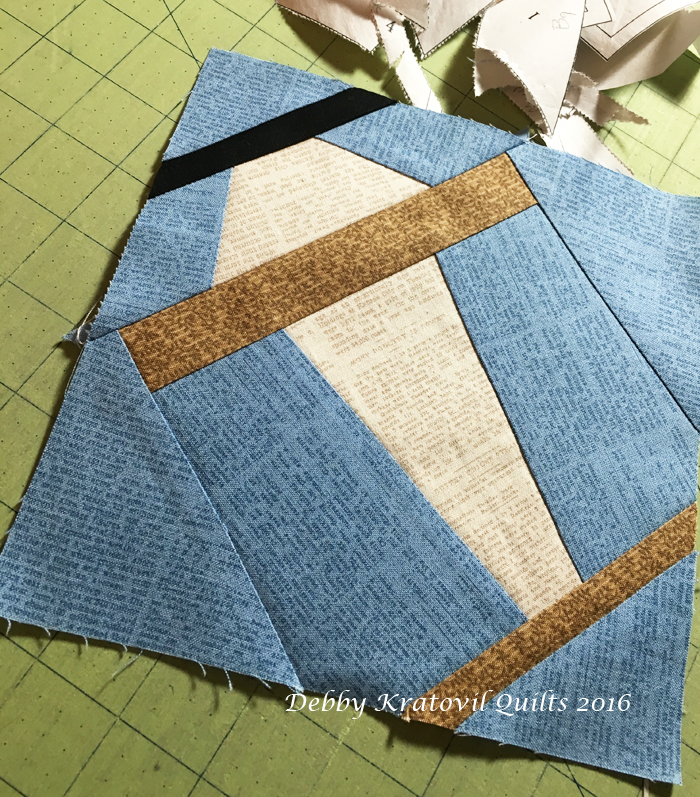 It is pieced in two parts. 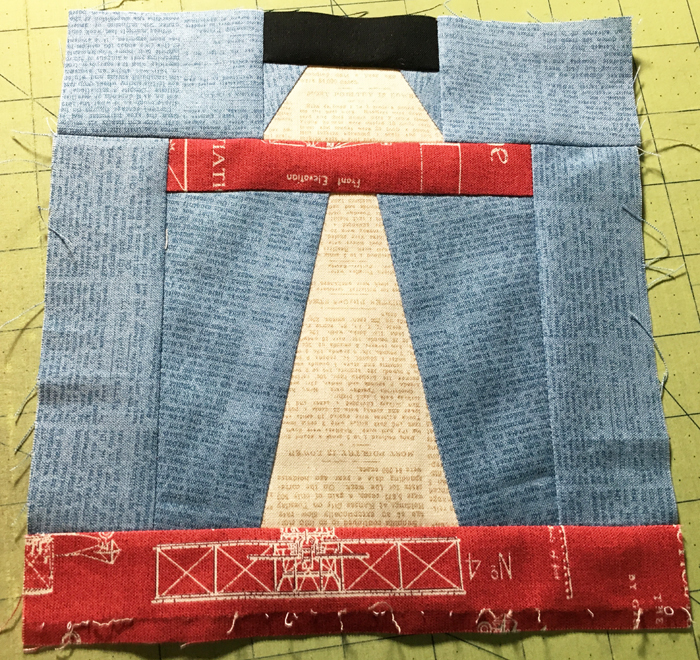 7" Up, Up and Away that is sewn together incorrectly! 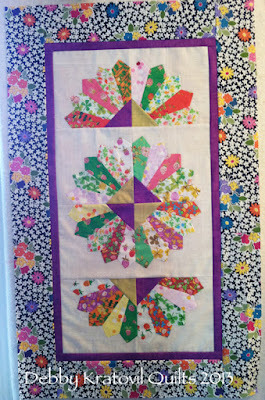 And can we see the finished quilt top? Of course. It's 33" x 33" and I used one of my favorite settings. I call it "Air Show." Why? Because if you look at the plane on the bottom it appears to be in a nose dive! That can make us nervous, but in an air show there are planes that do this sort of thing ON PURPOSE! Whew! 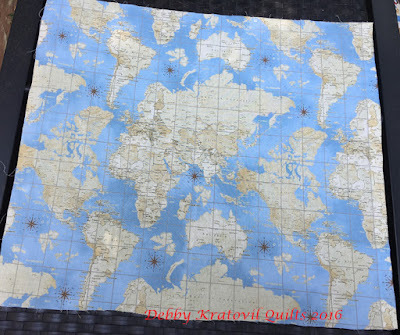 Air Show: 33" x 33"
And what about that map of the world fabric? 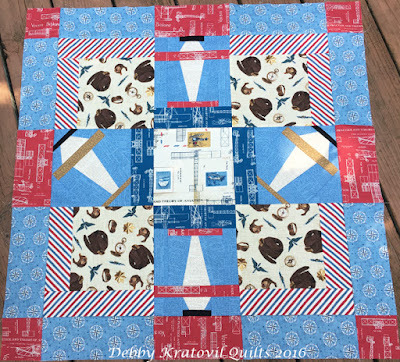 It's just a fat quarter but I've decided to put it on the back so I won't chop it up, but use some of the leftover fabrics to make it the full size needed. I may decide to make this a pattern. If I do, I'll keep you posted. 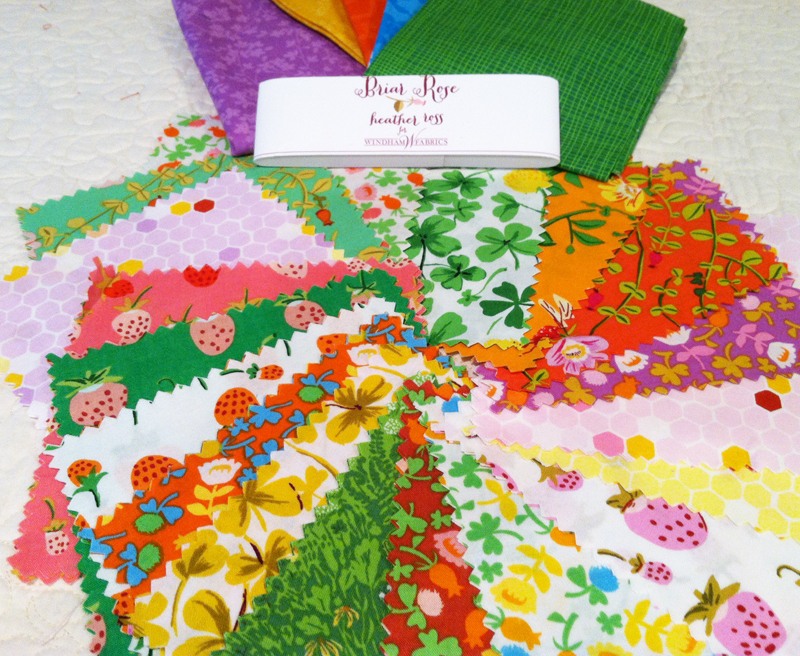 Hope you enjoyed seeing these new fabrics that were delivered to quilt shops in May. 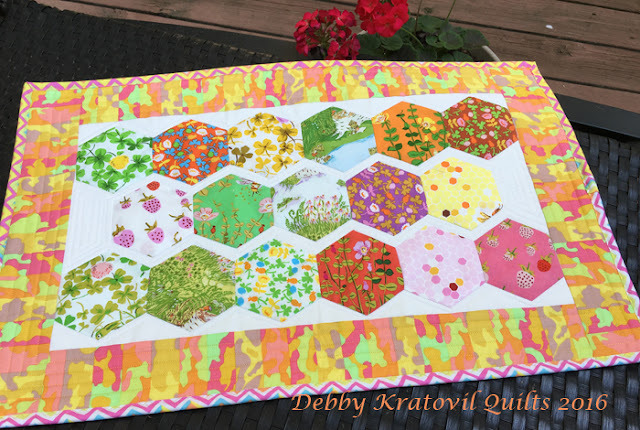 I made a project a few years ago from a set of 2" English Paper Pieced (EPP) hexagons. 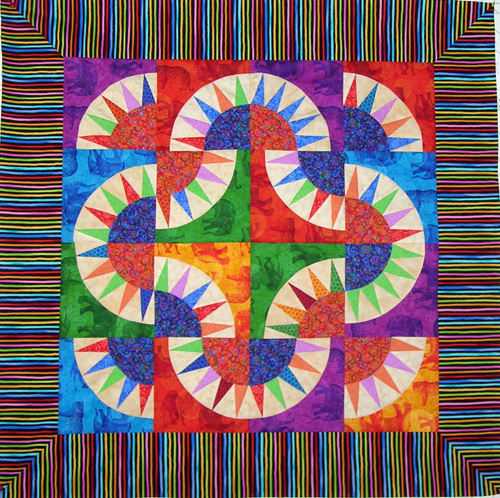 I called it "The Zig and Zag of Hexies." 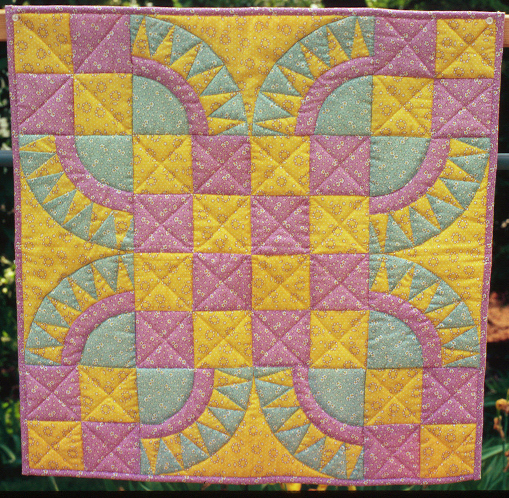 It was made with Bella fabrics from Windham and I published it with Cut Loose Press (a division of Creative Grids rulers) for quilt shops. Makes this fun Zig Zag table runner. Of course, being so "modern" looking, one of my daughter's immediately made a claim on it. This lives in Pittsburgh with her and her family. 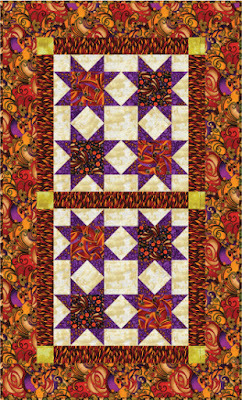 The Zig and Zag of Hexies: 29" x 40"
I had a collection of 17 hexies made from another Windham Collection called Briar Rose. They sent me a 5" Charm Pack and I used some of them to make a miniature Dresden Plate runner. 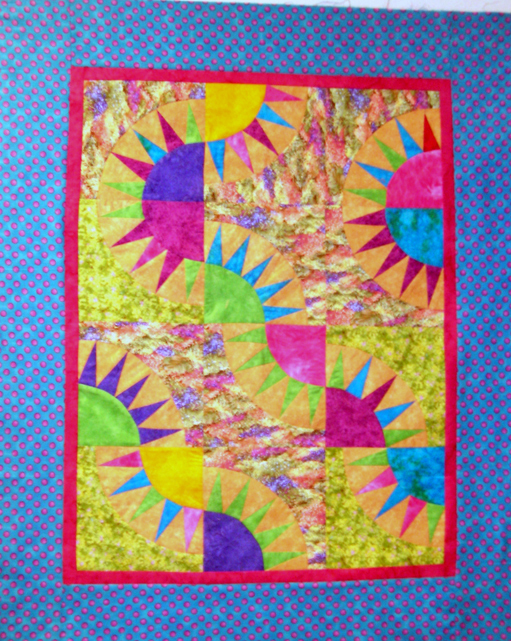 It still awaits quilting in my closet. 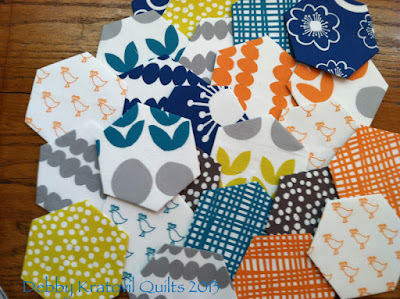 And with the leftover 5" charms, I was able to get 17 EPP 2" hexagons. 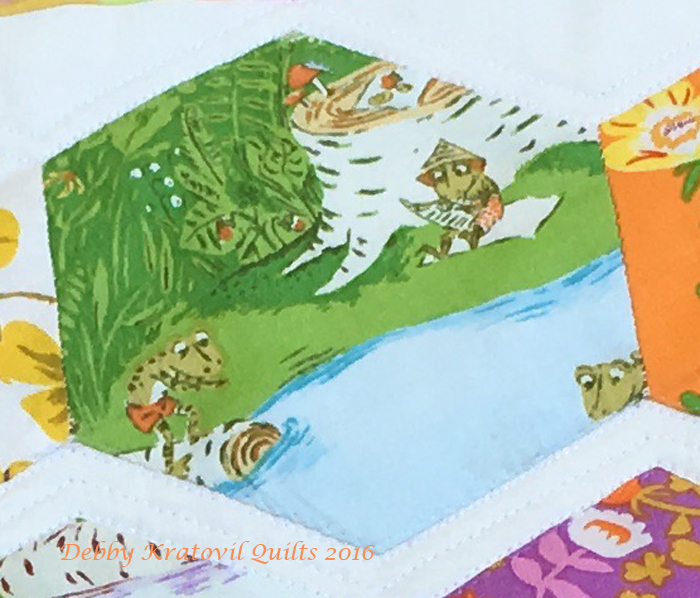 17 hexagons - Can you see Mr. Froggie sitting by the pond reading? The larger Zig and Zag of Hexies is at my Craftsy shop. This really is a quick project because once the hexagons are stitched together and the paper is removed, I aligned them to the background fabric and used invisible monofilament thread and used a machine zigzag stitch (of course!) to stitch them down. 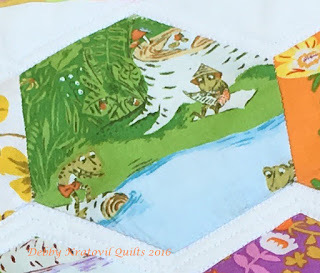 I do a lot of EPP in the Summer. It is so portable and only takes up a small ziplock baggie. 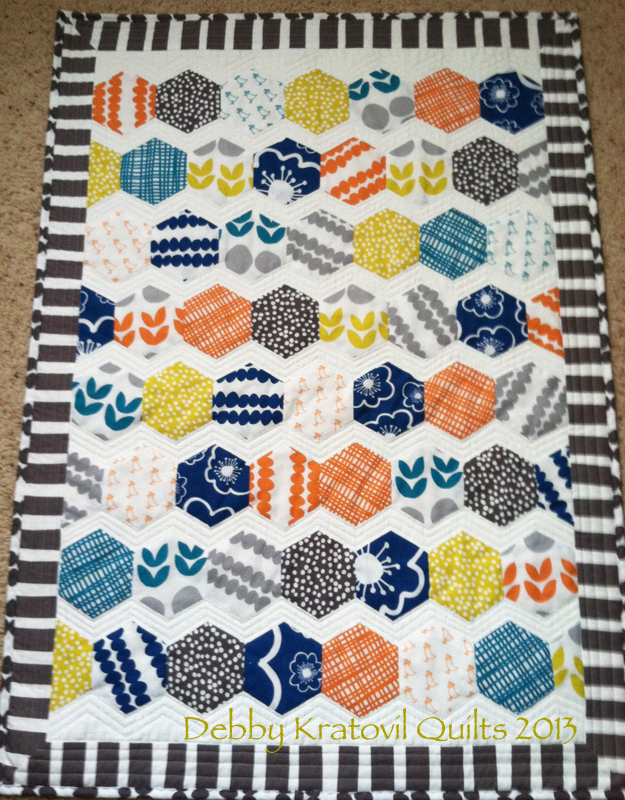 This new runner will be a class sample when I teach this again in the Fall. But right now it hangs in my hall bathroom where I can admire it for all the happy colors! 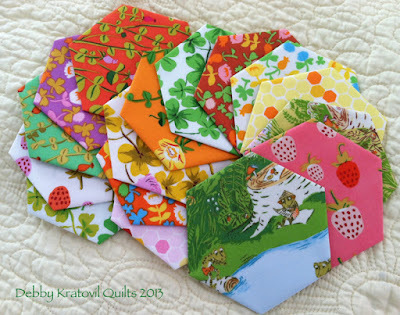 I foundation pieced these four little units last year using some lovely Benartex fabrics: Burlap blenders and the wonderful Fossil Ferns (the light background). But they lacked a lot of personality, don't you think? They may be sharp, but they weren't sassy! 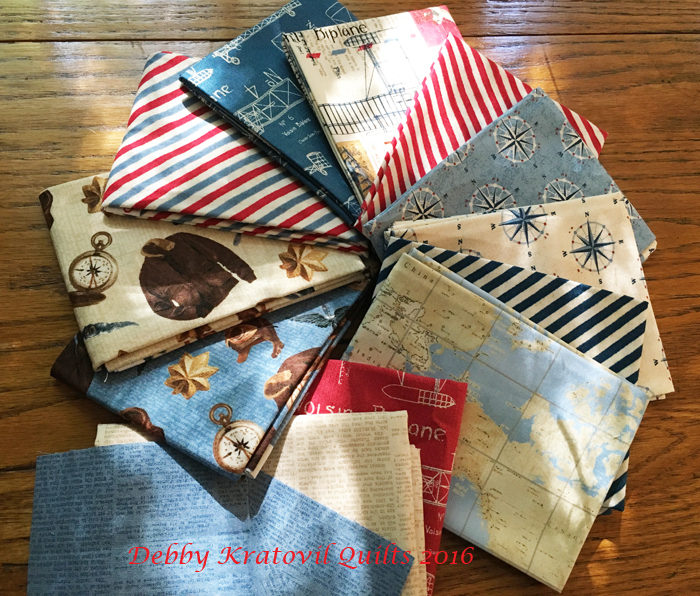 I actually found them quietly waiting for me in a little pile in my sewing room, buried under a stack of pattern drafts and other papers. I heard them whisper, "Hey, mom. It's time to do something with us. Give us a real party, won't you?" 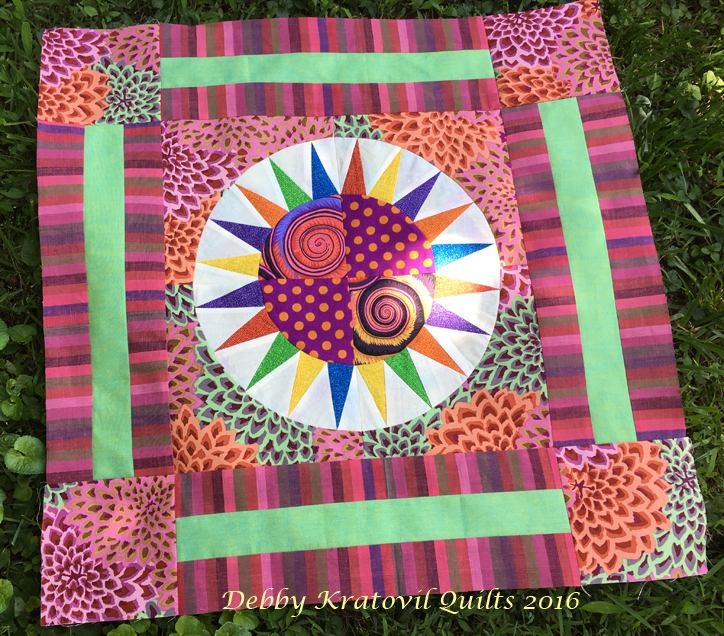 As I've been in a sort of bold and sassy fabric mood lately, playing with some of my Kaffe Fassett fabrics, I pulled out some and gave them a real makeover. Here are a few other quilts I've made in the past using this foundation. What do you think? This first one was in that suitcase full of 30 quilts that was stolen back in 2005. This next one was also in that suitcase. Sigh. I like to say that they're hanging on the Giant Quilt Rack in the Sky. Yes, I like bright and bold colors. 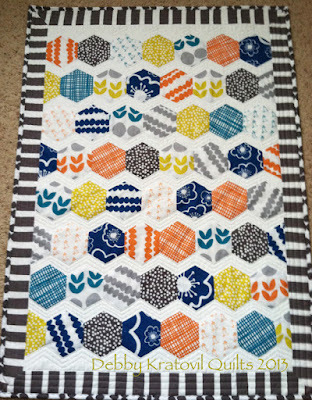 Here is the remake of my quilt for the workshop I had to teach the next day in California, minus my teaching sample! Oh, wait a minute. Wait a minute! 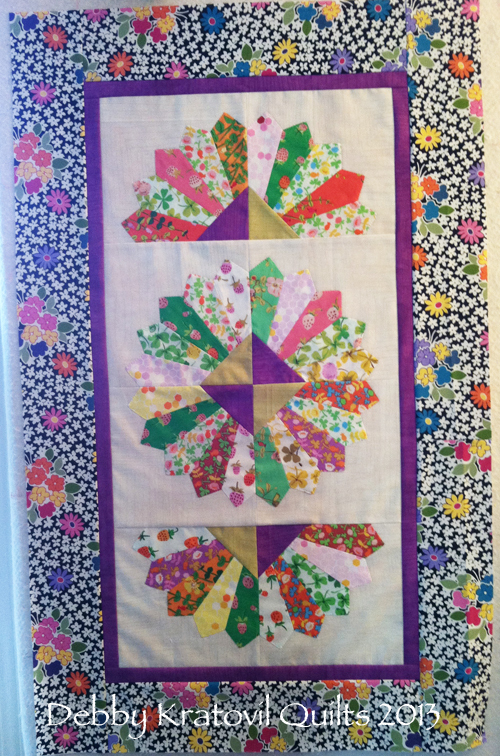 Here is my New York Beauty quilt still waiting to be quilted. 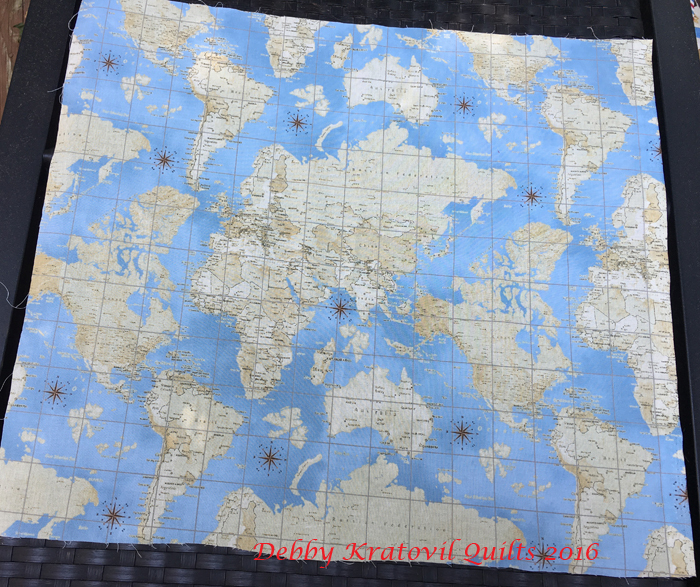 I had removed the borders because a quilting "friend" told me that I couldn't possibly publish it as it was with the irregular borders. (I've shared about this one before.) Can you see the "imperfections" in the left Dogtooth border? And what do I say? Who cares!? Thanks for stopping by. Hope you enjoyed the show. 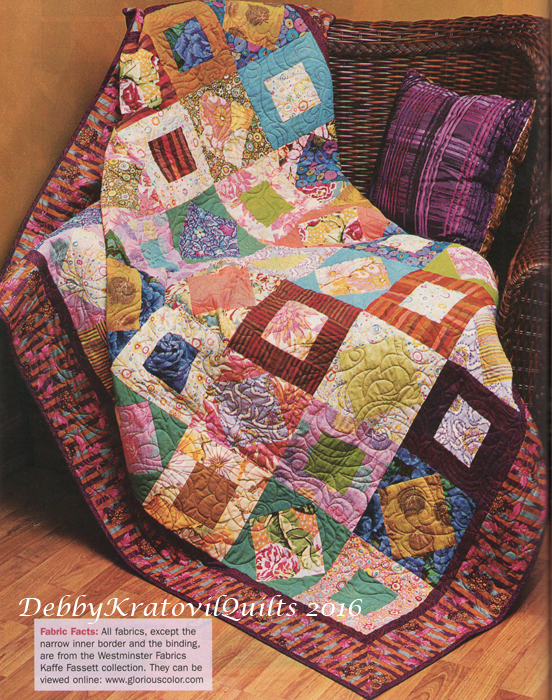 I am revisiting a lot of my previously published quilts and I came upon my Cobblestones Quilt from the April/May 2006 issue of Quilt Magazine. 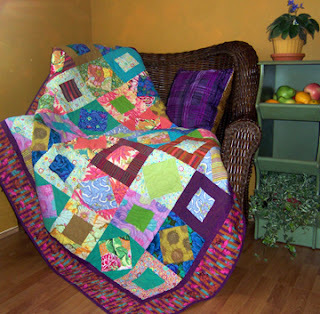 This was at the height of my popular Kaffe Fassett Club classes that I taught in Atlanta at the Intown Quilters shop. It was a great way to incorporate so many different fabrics: stripes, florals, solids - I used them all! 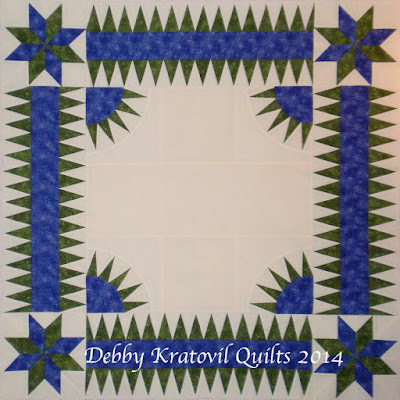 The centers are 4-1/2" to 6-1/2" squares (accurate cutting is included in the pattern). The surrounding strips are 2-1/2" - can you say Jelly Roll?!! The blocks finish to 8" square. 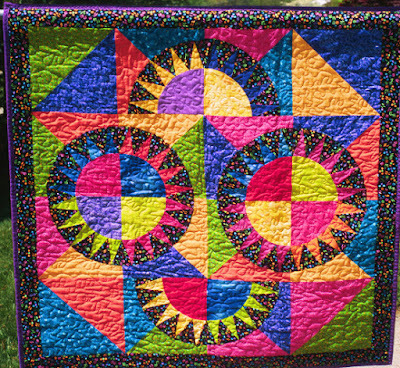 Can you see that there are two different blocks: a simple square in the center with either strips or triangles surrounding them? The quilt is a wonderful lap size: 62" x 70"
This was so beautifully quilted by Leslee Evans of Atlanta. 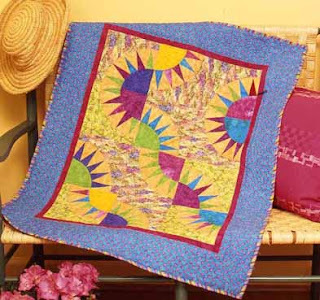 She was a master quilter (she was an architect in her former life). Check out the Cobblestones Quilt in my Craftsy shop. It's only $4.00 and I am itching to make it again with all my Kaffe Fassett fabrics just begging to jump in and be sewn. 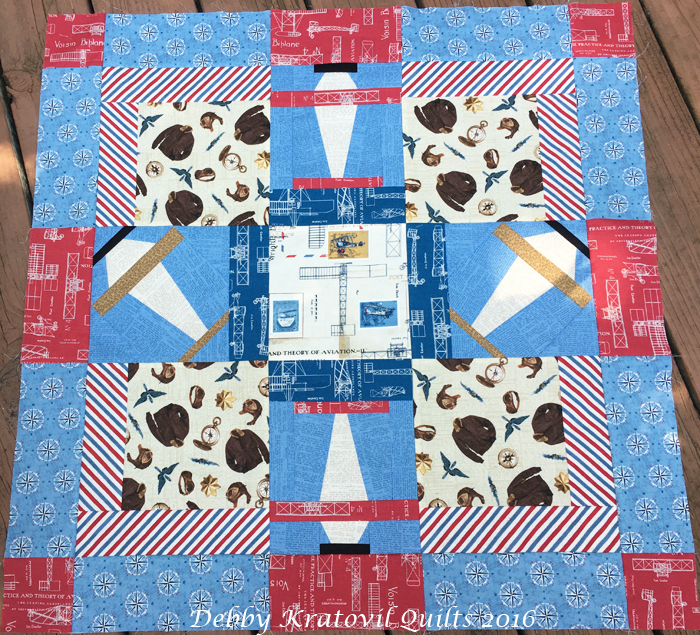 Idaho Beauty is a wonderfully large block composed of 4 Ohio Stars. They are 20"! 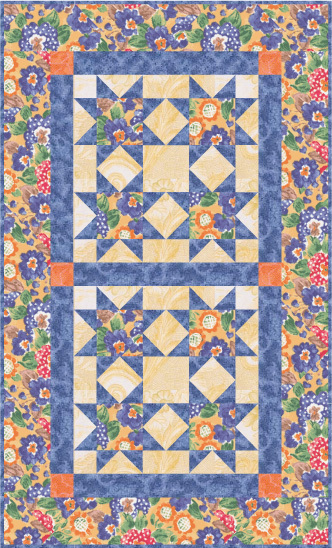 Two Idaho Beauty blocks make this small quilt of 35" x 57-1/2". 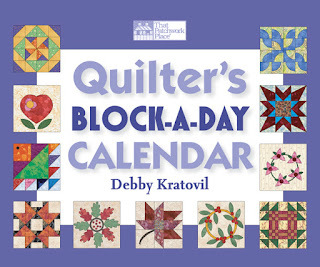 This block appears on June 17 in the calendar. 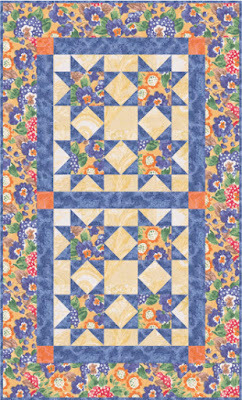 Idaho Beauty quilt: 35" x 57-1/2"
The following coloring is how it appears in the 4 page pattern. 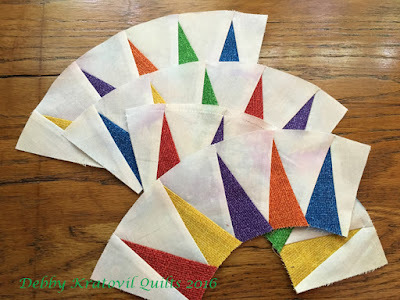 Included in the pdf pattern is a coloring chart for you to audition your own fabric choices and a one page newsletter that shows some tips on cutting those flying geese units for the star points. 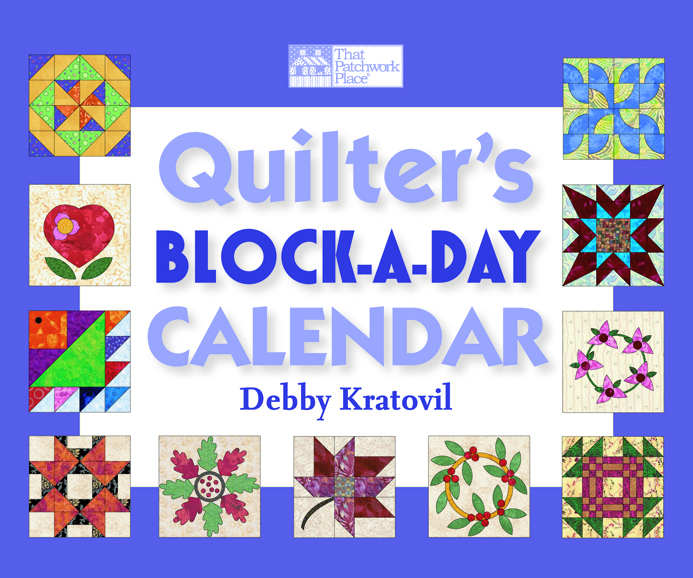 Remember, you need to own a copy of my Quilter's Block a Day Calendar in order to get the pattern for the 20" Idaho Beauty block.